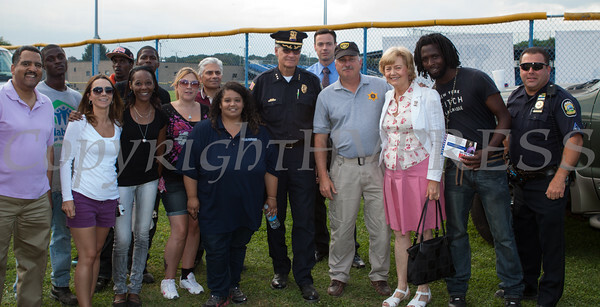 The 16th annual all-free National Night Out event at Delano-Hitch Recreation Park in the City of Newburgh on Tuesday, August 6, 2013. The 16th year of the all-free National Night Out event took place at Delano-Hitch Recreation Park in the City of Newburgh on Tuesday, August 6, 2013. Hudson Valley Press/CHUCK STEWART, JR.